Graphics and propaganda from secret societies, evangelical and fundamentalist movements, new-age spiritualists, Scientologists, Freemasons, ultraconservatives and all kinds of conspirators; encyclopedias for children and even Dr. Netter's famous medical illustrations--with The Hidden World, Los Angeles-based artist Jim Shaw (born 1952) exhibits the incredible collection of didactic graphic art that is the main source of inspiration for his diversely informed art. Renowned for his striking paintings, drawings, videos, installations and performances, Shaw is also a compulsive collector, constantly on the hunt for pop-culture arcana in thrift stores or on the Internet. 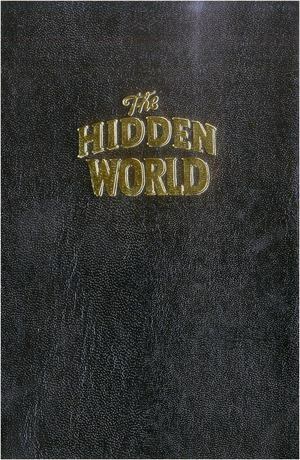 The Hidden World gives the reader the chance to dive into an overflowing world of paintings, sculptures, brochures, t-shirts, books, vinyl and educational material that recycles the myriad myths and beliefs of America. A lengthy interview with Shaw elucidates his fascination with this visual world.